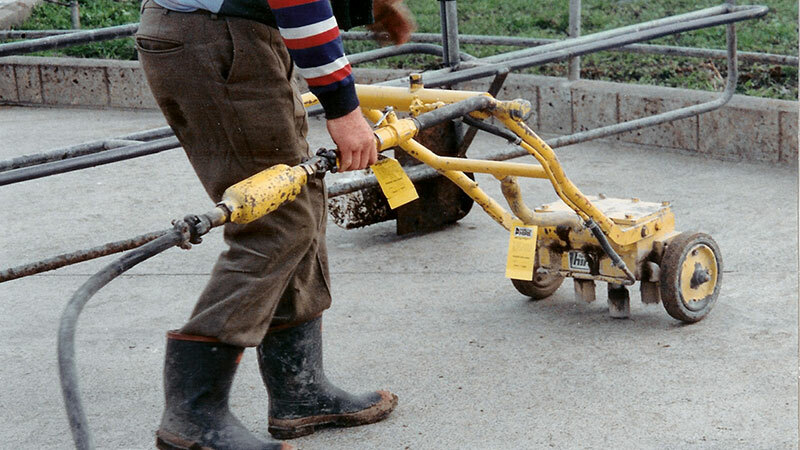 Reduced stress to both stock handlers and cattle by ensuring cow flow is maximised. Reduced injuries if there are no hindrances or obstructions to the smooth flow of stock. Cow entrances and exits should be clear and wide. 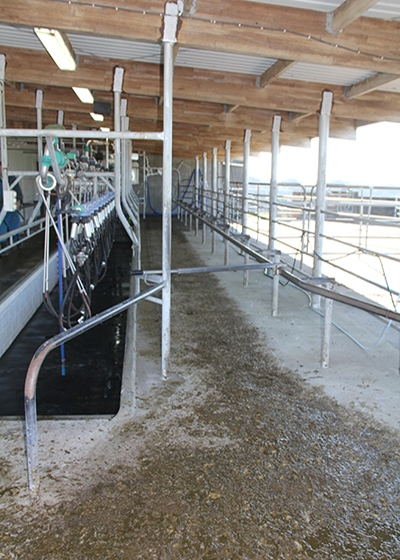 Clear platform areas are best for good cow movement. This vertical post is restricting cow flow. e.g. 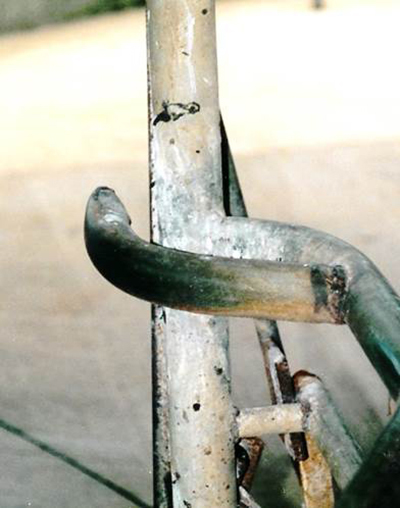 protruding pipes and edges. 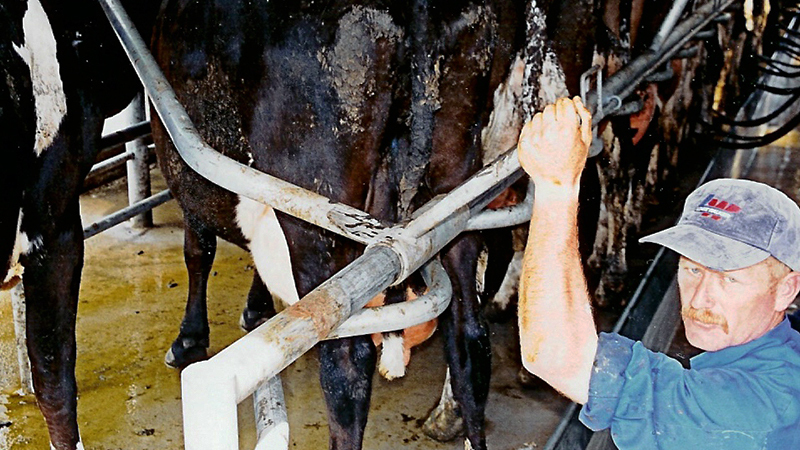 Pipe work should be flush across cow contact surfaces (place horizontal pipes on the cow side of vertical posts). Protruding pipe protected by deflector. 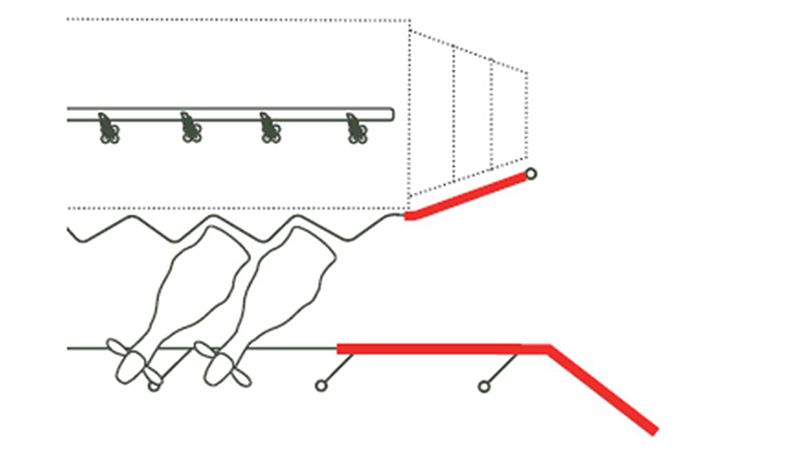 Have a lead in rail so 2-4 cows can line up facing forwards before the start of the milking bails. 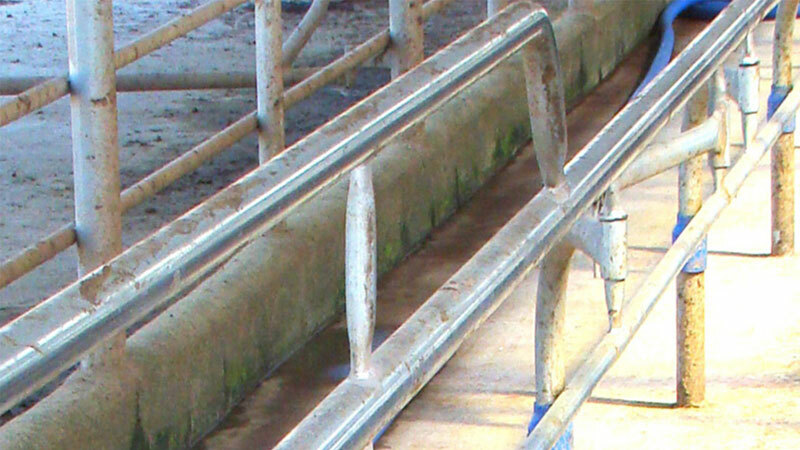 Lead in rail height should be 900-1000mm high (~300mm on top of breast rail) and run from the last milking position to the yard end of the breast rail. Fit a rotating back rail to hold last cow in place. 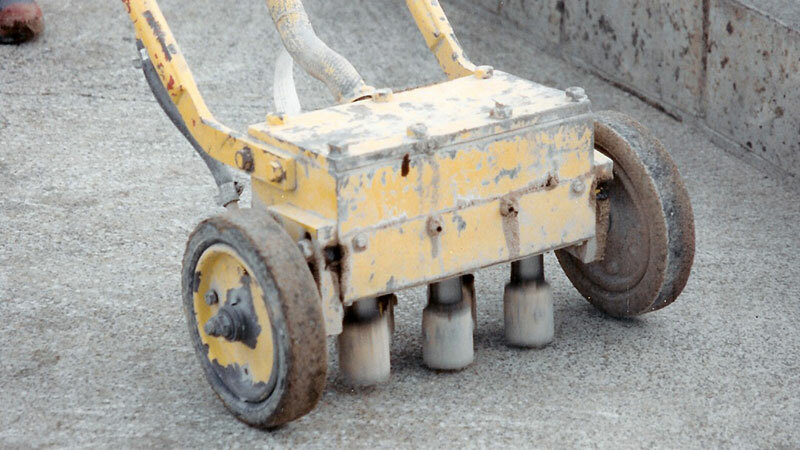 Scabbling smooth concrete is preferred but grooving concrete can also help provide traction and stability – make grooves consistent with the drainage direction. A diamond pattern with groove size 12 mm wide and 12 mm deep on 75 mm centres will provide more traction than simple parallel grooves. Matting can also be used but will need regular replacement. Light levels evened out using skylights and natural lighting. Skylights combined with natural lighting can even out light levels. Consider installing translucent polycarbonate roofing and/or walls. 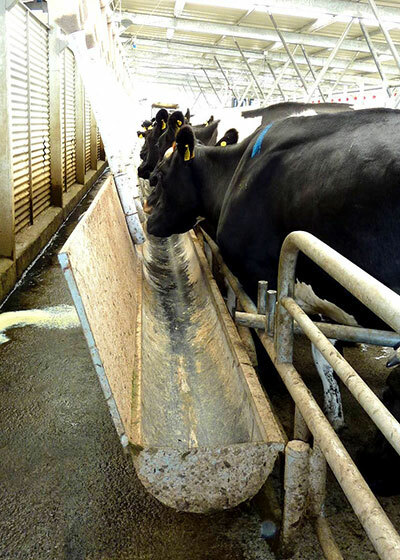 Protection from the wind and elements at the dairy entrance can aid cow flow. Add a funnel lead in to line up cows so they are ready to enter the bail area.